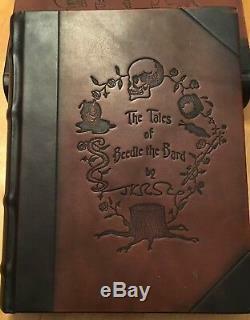 The Tales of Beedle the Bard. TRUE UK 1st / 1st deluxe edition. Signed and hand numbered (-- of 100) Edinburgh launch copy with hologram. Published by The Childrens High Level Group. Simply a stunning copy in fine condition, Harry Potter books do not get any rarer than this one, being 1 of only 100 that were ever given as Competition prizes Worldwide. 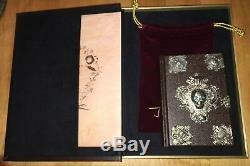 The book and all related items that come with it are complete and in perfect condition. PLEASE NOTE, THE ACTUAL NUMBER OF THE BOOK HAS BEEN COVERED BY ME FOR THE PURPOSES OF ADVERTISING ONLY. Approved and registered with the Autograph Fair Trade Association, AFTAL Member #113. Thank you for your interest. Any questions just send us an Owl. 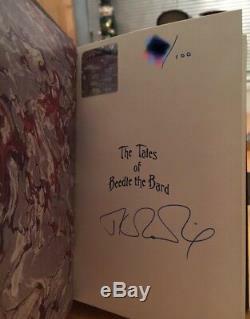 The item "Harry Potter The Tales of Beedle the Bard UK 1st / 1st Deluxe Edition SIGNED" is in sale since Saturday, December 15, 2018. This item is in the category "Books, Comics & Magazines\Children's & Young Adults\Fiction\Children's Fiction". 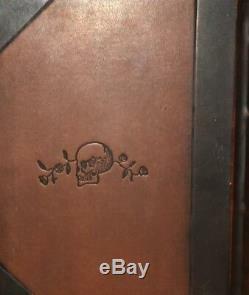 The seller is "hp4u_auctions" and is located in Binfield.